Disclosure: Carnival provided us with our cruise. As always the thoughts and opinions are my own. 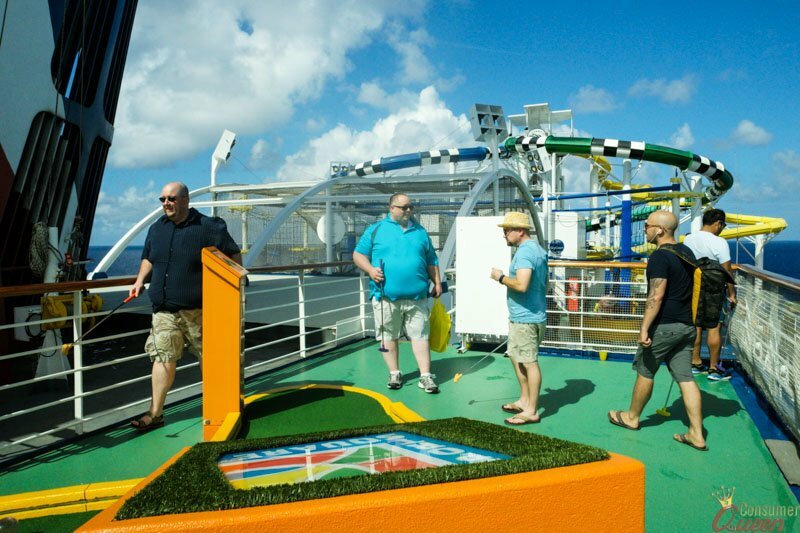 We love to travel and one of our favorite ways to travel is cruising. We love the variety of food to choose from, the entertainment, of course we love all the places you can relax and last but not least we love seeing different parts of the world. 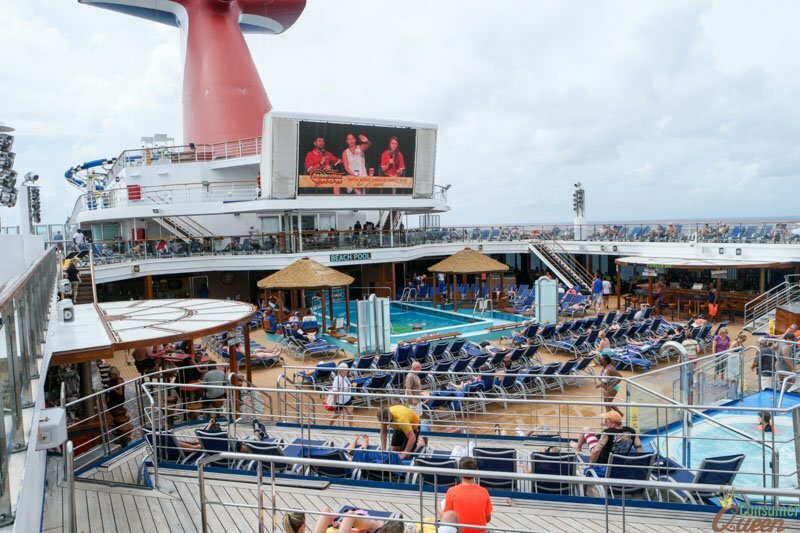 Cruising on the Carnival Sunshine provided all these things and more! Our Carnival Cruise Line experience began at the airport. After you collect your luggage you head over to the bus. Once you give your luggage to the bus driver the next time you see it is in your cabin. Once we arrived at the port our check in was extremely fast. It took us less 20 minutes to get checked in and to get to our cabin. Your luggage will not be in your cabin when you get on the ship so I recommend having a carry-on with your swimsuit or a change of clothes. That way you can enjoy the pools or in case you just want to get out of your clothes you have been traveling in. On the Carnival Sunshine you don’t have to worry about being stuck on a ship and having to eat the same thing for days on end. 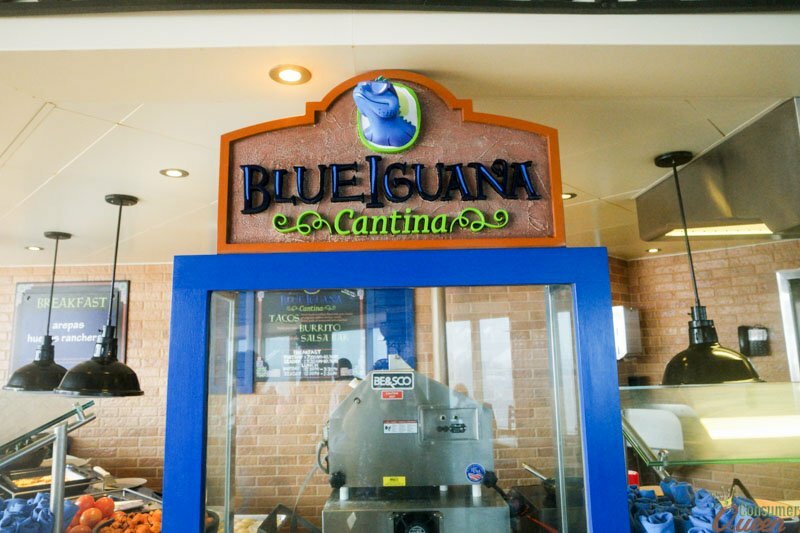 If you want to add variety you can eat at Guy’s Burger Joint or grab a taco or burrito at the Blue Iguana Cantina. They also have specialty restaurants that are anywhere from $5-$35 per person extra. Whatever you decide you won’t be disappointed! The food at every restaurant was amazing. You can even eat with Dr. Seuss at the Green Ham and Eggs Breakfast! 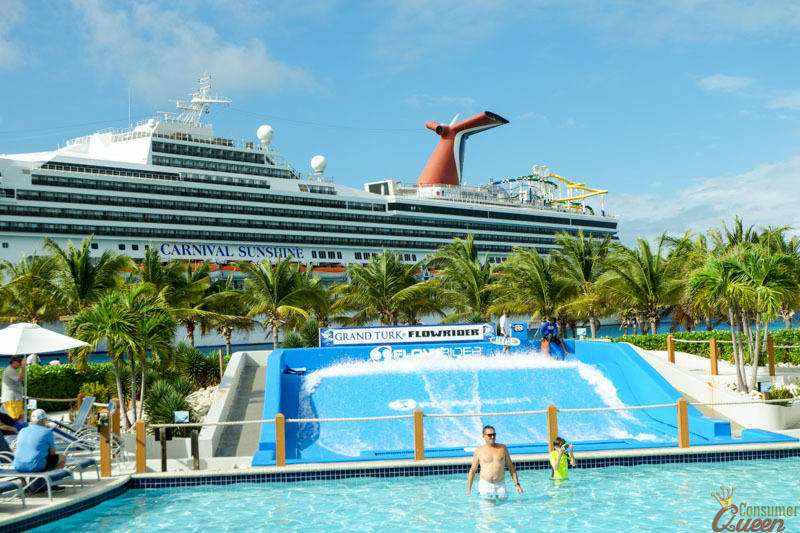 With the variety of activities that is available on the Carnival Sunshine you will never get bored. 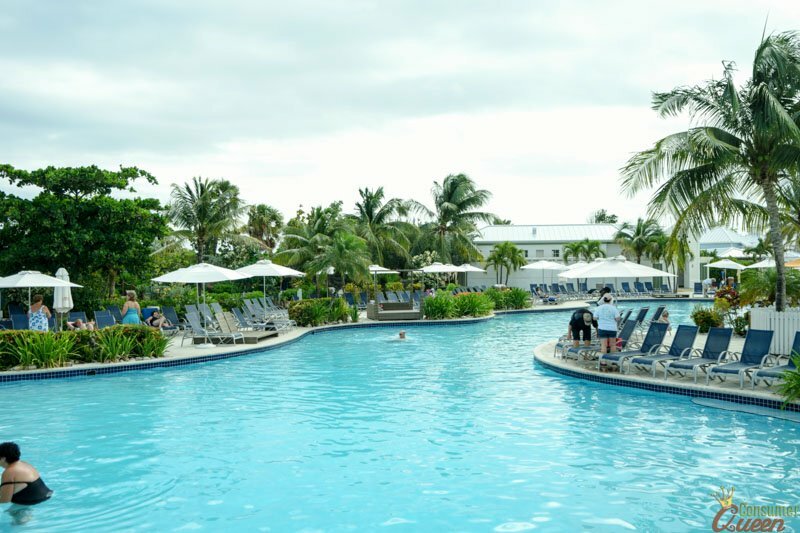 They have a comedy club, a pool, Jacuzzis, mini-golf, arcade, billiards, basketball, shuffleboard, a running track, video games, EA Sports Lounge (where you can watch live games), a water park, sky course and Camp Carnival for the kids! Not to mention karaoke, a piano bar, night club, bingo and a Dive-in Movie every night poolside. Above is a picture of the Men Who Blog Mini Golf Tournament. On our cruise we stopped at 3 different ports; Aruba, Bonaire and Grand Turk. Unfortunately Aruba wasn’t our favorite port. We chose to go on a beach excursion. The weather was starting to get bad and the seas were rough. What we didn’t know was that the ferry only ran once and we were stuck on the island until it was time to go. Also on this particular excursion they didn’t tell that food would only be available during a certain time so we didn’t get to eat. Had we known this we probably would have picked another excursion to do. 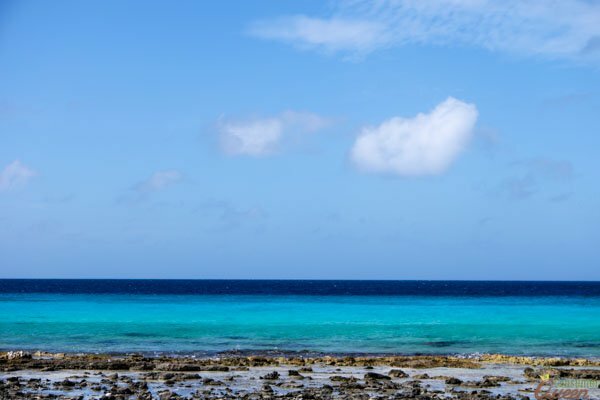 I think our favorite port by far was Bonaire. On Bonaire we rented a car with James Hills from Mantripping.com and his wife Heather. It is such a small island that we literally drove AROUND the island in 3 hours. 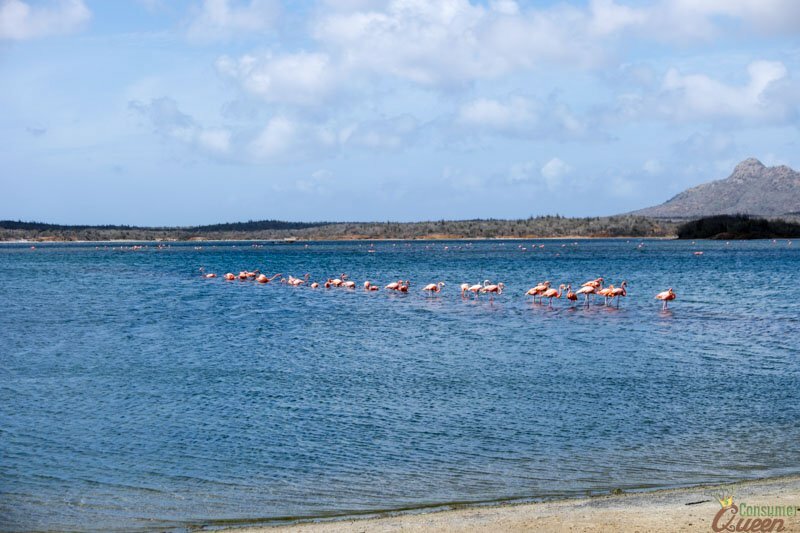 Bonaire is also where flamingos nest. So seeing these beautiful birds in their natural habitat was AMAZING. Because you only have a limited amount of time on the island we didn’t get to do anything else. The next time we come back we will definitely go snorkeling. The water is amazingly clear and the fish we could see from the dock were beautiful. On Grand Turk we decided to do a beach day. We rented a cabana and relaxed by the beach. The atmosphere around the beach was electric. They had a DJ playing music and interacting with the crowd that kept the energy up. It did rain when we were there but it only lasted about 20 minutes and then it back to sunny skies! Her you can also grab a bite to eat at Margaritaville. Our cruise experience was overall positive. The one thing about Carnival that stuck with me was the service. All our interactions with the staff were awesome. They answered any questions we had and made sure that we were always happy. I swear our cabin steward stood at the end of the hall and every time we left our room, they came and cleaned it! The service was amazing. That service is what will bring us back. Thank you for the heads up for the carry on luggage! I love this review. I am going to be taking my first cruise and loved all this info!